Jason Jennings introduces us to America’s best-performing new CEOs who pulled off the most impressive transformations of the decade. They doubled revenues, more than tripled earnings per share, and doubled their company’s net profit margins. 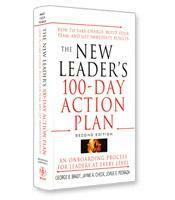 This book will help new leaders at every level balance short- and long-term goals as well as the needs of the shareholders, employees, customers, and the community. Renowned business author, speaker and consultant Jason Jennings has been running companies and teaching leaders how to improve their job performance for more than 20 years. 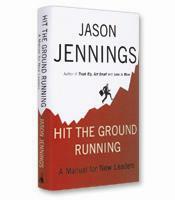 In his latest book, Hit the Ground Running: A Manual for New Leaders, Jennings develops a list of 10 “golden rules” that leaders can use while guiding organizations of any size. To create these rules, Jennings and his research team studied 10 top executives at nine companies who were able to transform their organizations with the strategies he describes. 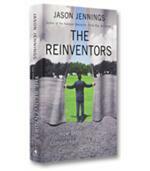 The CEOs Jennings studies in his book are role models for other leaders. They created economic value for their shareholders and their organizations better than anyone else by balancing short-term goals with their long-term plans. To find these great CEOs, Jennings and his team of researchers looked for leaders with at least three years of experience in the top spot, those who lead companies with great corporate reputations and those who are still in the CEO post today. They also looked for companies whose share price increased while the CEO was in place. The people the research turned up were above-average leaders who nearly doubled revenues, more than tripled earnings per share between 2001 and 2007, and doubled net profit margins for their companies. These leaders include: Allegheny Technologies’ Patrick Hassey; BF Goodrich’s Marshall Larsen; The Hanover Group’s Frederick Eppinger; Mohawk Industries Jeffrey Lorberbaum; Richard and Tim Smucker, the co-CEOs of The J. M. Smucker Company; and four other top CEOs who created more shareholder value than all of their peers. From their experiences, Jennings compiles 10 rules all CEOs should take to heart. The first rule Jennings explores in Hit the Ground Running is, “Don’t deceive yourself — you will reap what you sow.” He exemplifies this story with Smucker’s long history of leadership greatness and the leaders who make it happen. To explain the company’s success, Tim Smucker says that “if you put in a hard day’s work [focused on serving your customers] you will benefit from your labors.” By showing how the two Smucker brothers took control of their father’s company and used this law of reciprocity by working by consensus in a 100-year-old company, Jennings describes a company and a culture committed to customers and dedicated to living one’s beliefs. By helping people find these essential elements while leading them through uncertainty, Hassey’s example shows all leaders how to build teams and align divisions by keeping people aware of what’s happening in their world. 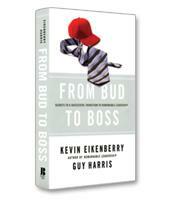 Through straightforward examples like these, Jennings breaks down the complexities of business leadership into real stories and basic principles any leader can use to make an organization great and rise above its peers.